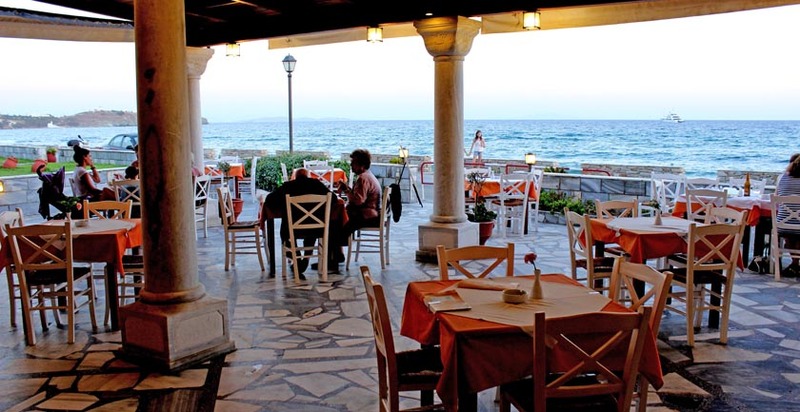 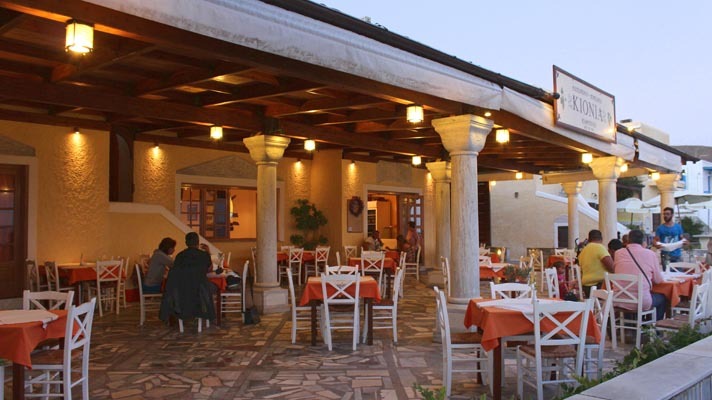 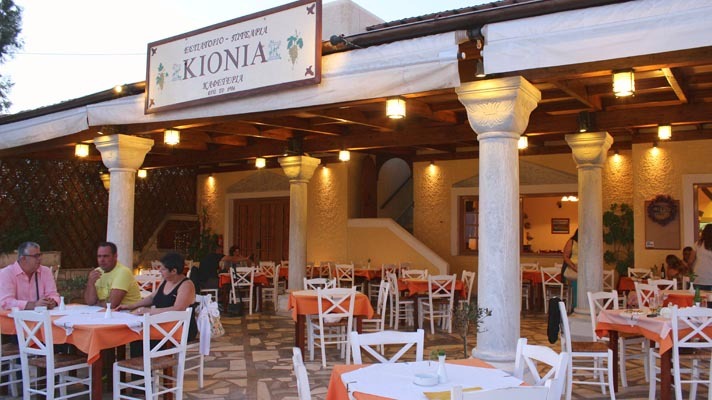 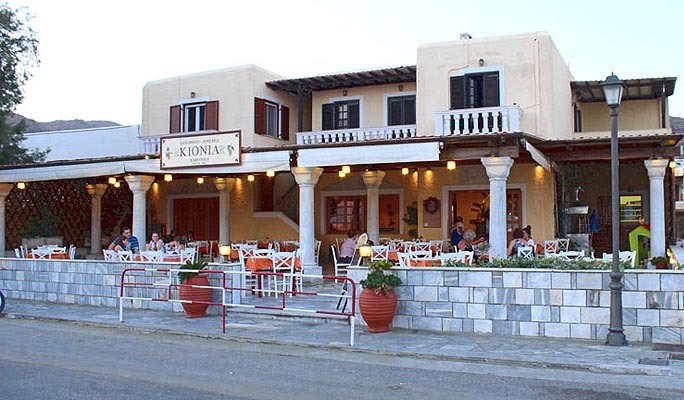 The restaurant offers an elegant setting for enjoying local and Mediterranean dishes by the fireplace or outdoors overlooking Kionia Bay. 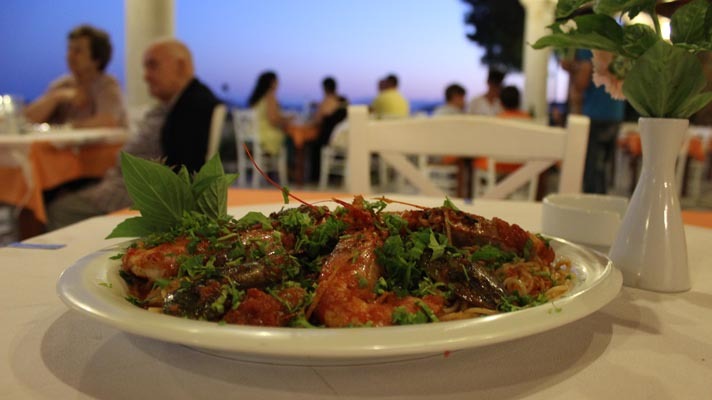 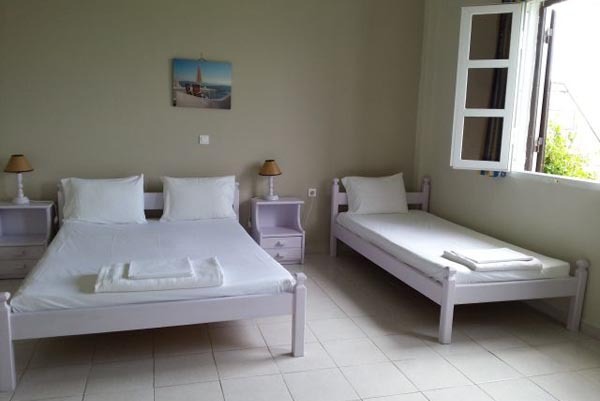 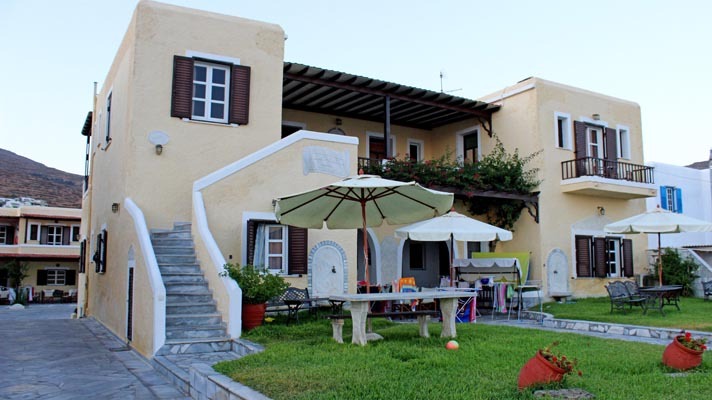 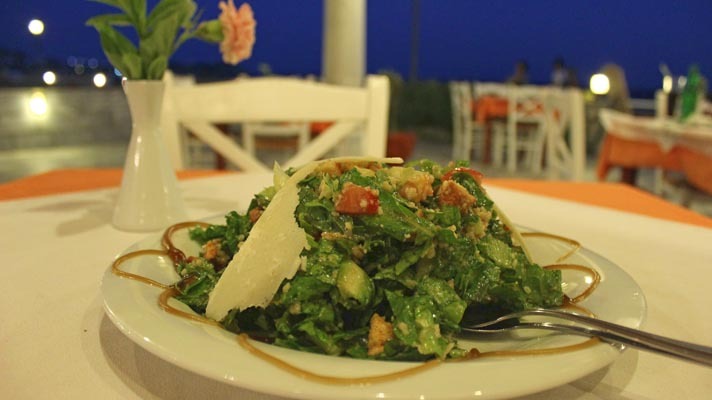 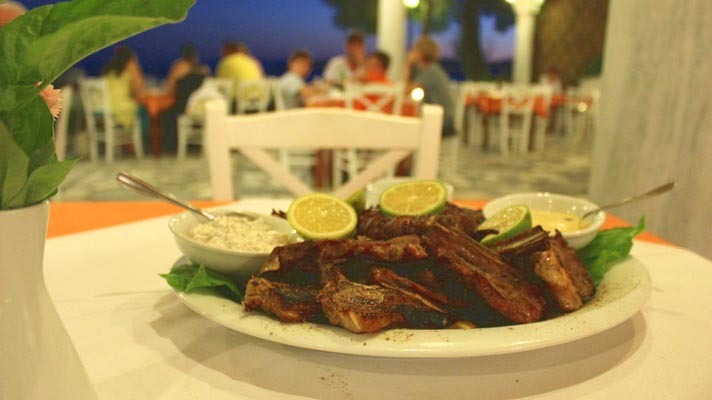 Moreover its menu is rich in local meat, as in traditional foods, pizzas and other special plates as fourtalia. 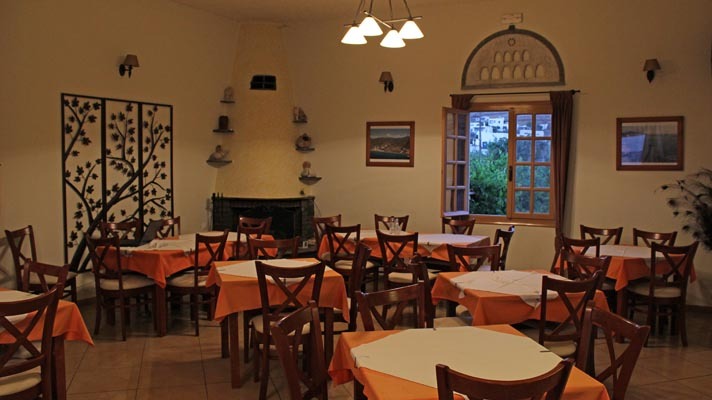 Beyond the qualitative and rich menu, in the end of dinners are offered traditional pastry or fruits of season, and ice-cream. 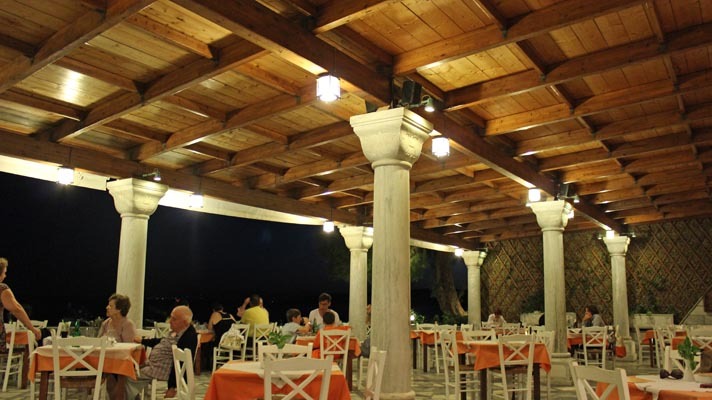 The Restaurant is open from early the morning to offer your breakfast, and continues up late at night. 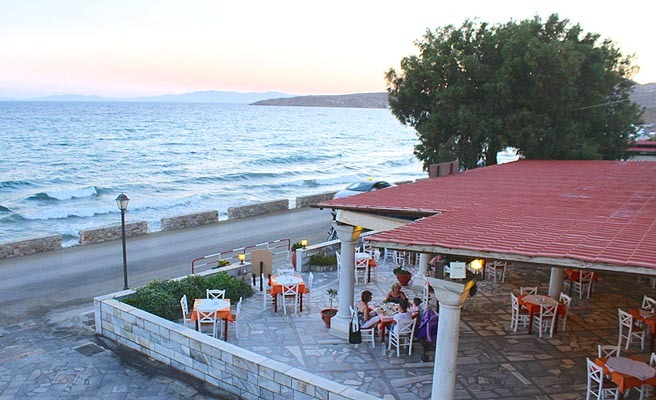 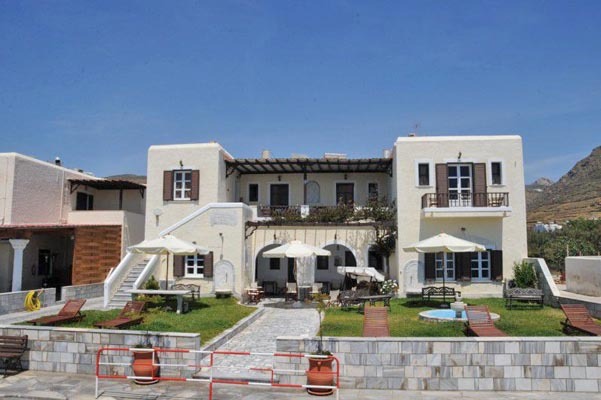 Our square can be also used for various events with view of the Aegean Sea.